The main focus for the website, located at banktalenthq.com, is the job board, which allows banks and other financial services industry companies to post job openings, with the ability to purchase a single 30-day post or a discounted posting package to fill multiple vacancies. Bank of Pontiac recently unveiled a new web site designed by LKCS. The new site was specifically designed to meet ADA accessibility guidelines, while being user friendly, informative, and compatible with mobile devices. You may be asking yourself, since when has ADA applied to websites? The Americans with Disabilities Act requires that all public accommodations provide facilities and equipment that are readily accessible to, and usable by, people with disabilities. Through litigation, advocates have been working to extend access from the physical world to the web. 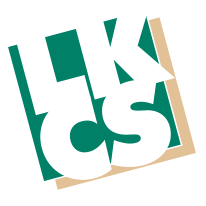 Congressional Federal Credit Union selected LKCS to design and implement a new responsive web site to better serve their members. The new site provides tremendous capabilities and easy to use site management tools. Customers of First National Bank of Hartford will be happy to know about the changes in their new website. One such change is the addition of mobile responsivity. Rather than struggling to read and navigate the website on their mobile devices, customers will be able to use the website with ease. The website will now adjust itself to fit the screen resolution of any device. Anything from cell phone screens to mobile desktop screens will adjust accordingly. Lincoln County Credit Union (LCCU) has announced the launch of a new website that was designed with their members in mind, demonstrating LCCU’s dedication to providing the best banking experience for their members. It is a fresh, new look that has made the website easy to navigate and mobile responsive.